In the 13th edition of the Aeroflot Open 2016 being held in Moscow (Feb 29-March 10)five players(GM Bartel Mateusz,GM Fedoseev Vladimir,GM Najer Evgeniy,GM Matlakov Maxim,GM Gelfand Boris) are leading with 5.0/7 and a pack of 15 players on 4.5/5 follow them after seven rounds.With two more rounds to go,lets see if the top seed GM Boris Gelfand is able to walk away with the championship. On March 2nd, 2016 the first game of Women’s World Chess Championship Match started between the current World Champion Mariya Muzychuk of Ukraine and Challenger Hou Yifan of China (former World Champion 2010-2012, 2013-2015) in Lviv, Ukraine. 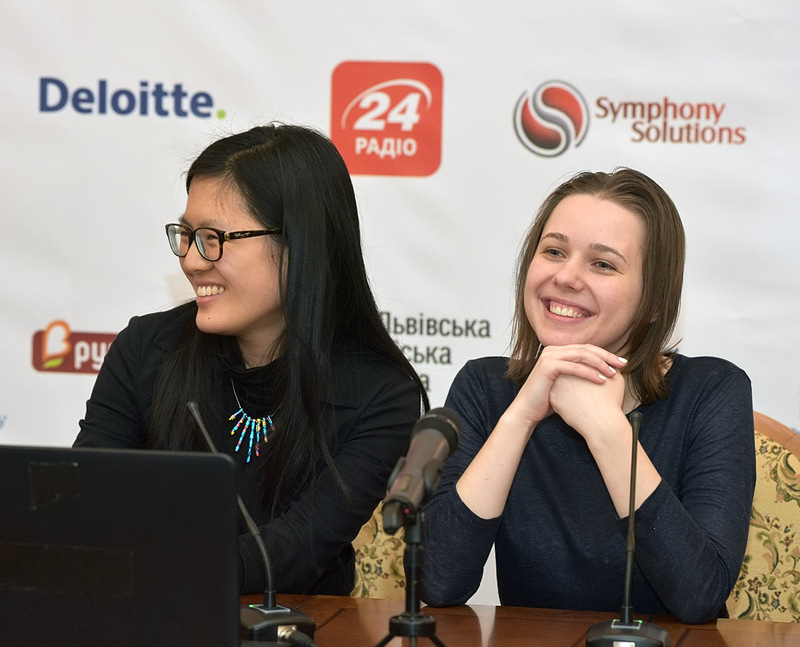 Mayor of Lviv Andriy Sadovyi and one of the most promissing young players of Ukraine 6-year-old Kalyna Furmanova inaugarated the Championship by making the first move, e2-e4, with the white pieces.By winning the second game,Hou Yifan now leads 2.5:1.5 with six games to go. The Campeonato Continental Femenino, the American Continental Women's Championship, took place from 19th to 29th February and was played in Lima, the capital of Peru. After some tense moments rating favorite and Peruvian celebrity Deysi Cori won with 7.5/9. On March 2, 2016, His Excellency Mr. Jean-Maurice Ripert, Ambassador of France in Russia, presented Andrey Filatov, President of the Russian Chess Federation, with the Legion of Honor. The award ceremony took place in the building of the first chess museum in Russia, located at 14 Boulevard Gogol in Moscow, where dignitaries were present in great pomp. 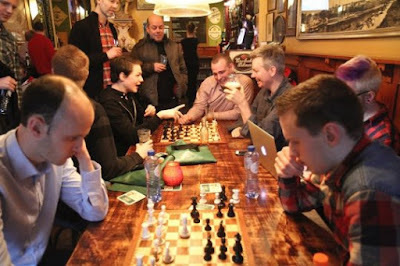 The Batavia tournament in the Batavia Café in Amsterdam celebrates Dutch coffeehouse chess culture. 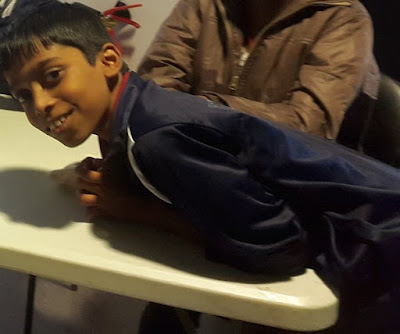 In the eighth edition of the tournament, which took place from 18th to 28th February 2016, ten players - a good mix of talent and experience - took part to play a nine-game round robin. The three grandmasters,GM Sabino Brunello from Italy, GM Friso Nijbour from the Netherlands and Danish GM Lars Schandorff held their own against the younger generation and took the first three places. his very first tournament in such a café. 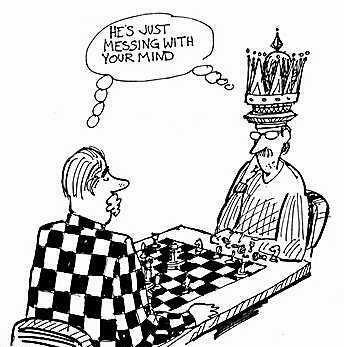 The Reykjavik Open 2016 will be held for the 31st time from 8-16th March, 2016, in Harpa, the 28.000 sqm. concert hall, in Reykjavik, Iceland.246 players are registered to take part, among them being four members of the 2700-club. This 14-round event, which determines the next Challenger to Magnus Carlsen's title, will take place in Moscow from March 10–30.The 2016 Candidates will see eight players, including six of the World’s top-ten rated grandmasters, representing six countries, taking part. Magnus Carlsen will play the winner of the Candidates Tournament in New York in a 12-game match that starts on November 11th. Magnus Carlsen and Vishy Anand played two World Championship matches and in 2016 they will meet again: in the Bilbao Chess Grand Slam Masters Final 2016, a six-player round-robin that will take place from 20th to 30th July. Hikaru Nakamura also confirmed to play and thus it will be one of the strongest and most prestigious tournaments of the year. The Norway Chess 2016, sponsored by Altibox, is scheduled to take place in Stavanger from April 18-30. It is going to be a ten player single round robin event.Six of the names had been released in January: the World Champion Magnus Carlsen (Norway), the ex world champions Vladimir Kramnik (Russia) and Veselin Topalov (Bulgaria), Levon Aronian (Armenia), Anish Giri (Netherlands), and Maxime Vachier-Lagrave (France).On 6th March, the Altibox announced a new website design on its facebook page and the header image reveals three more players: World Cup winner Sergey Karjakin, Pentala Harikrishna and Pavel Eljanov. Praggnanandhaa,the 10-year-old prodigy from South India picked up his first IM Norm at the 30th Festival International des Jeux de Cannes which was held from Feb 24-Feb 28.It was a nine-round swiss event with 79 titled players out of the total 111 in the A-group with 19 Grandmasters. This two-time World Youth Champion(U-8 & U-10) is going to be a treat to watch in the coming year. BORIS SPASSKY:"I'M WAGING A WAR"
The 10th World Chess Champion Boris Spassky has always been one of the most eloquent men in chess, and although the 79-year-old now struggles to move too far from his Moscow apartment little else seems to have changed. In a new interview he discusses an acrimonious divorce, the portrayal of himself and Bobby Fischer in the film Pawn Sacrifice, what really happened during the 1972 match (was one of his seconds a US spy? ), his encounters with Viktor Korchnoi and much more. LEVON ARONIAN:"THEY WROTE ME OFF"
Levon Aronian sneaked into the 2016 Candidates Tournament at the last possible opportunity, failing to qualify but gaining the wild card of the Armenian sponsors. In a new interview he talks about his desire to exploit that opportunity and prove he’s the best, while he also discusses his early days when people had given up on his chances of ever becoming a top player.